This is a key issue—and one I can already sense I’ll be facing in the future with my own kids—but at the moment it’s hard for me to respond to this question personally. It’s true, many of my students have been older children and teens, but I won’t really feel qualified to address this concern—beyond the points I make in the above article—until I experience this myself as a parent. Because Aneta and I have children of roughly the same age (mine are currently 8 and 6), I told her I would turn to my friendly readers for their thoughts. One of the really wonderful things about blogging on the subject of raising bilingual children is the incredible wealth of experience and insight that come my way from people all over the world through their comments. It’s a feast of food for thought! What is (was) it like supporting their minority language at that age? What advice would you give to other parents facing this challenge now? Any further thoughts for parents of younger children who will have older children and teens before too long? Remember, the time it takes to share your experience here—even briefly—could be very helpful to other parents for many, many years to come! So please take a moment to leave a comment for us all! Thanks a lot! As the mom of a “tween” (12 years and a few months) this is a subject that is very close to my heart. For the purpose of my book, but also for personal reasons, I have interviewed dozens of families with bilingual teens about their experiences to get ideas for getting through those years without losing the bilingualism that we’ve worked so hard to make happen. We’ve already noticed for a few years that as our children grow, more and more of their activities happen outside the home, with their friends and in the majority language. There are issues with identity and fitting in with your peers and unless we parents play our cards right, bilingualism may just become something that they feel makes them different from others in a negative way. While I think this is less bound to happen when the children have strong emotional ties to the minority language from when they’re little, it’s still necessary to make sure that it continues to be useful – and fun – when they’re older. – Tap into their interests! My daughter plays soccer and follows the French female team OL, reading everything she can get her hands on about them (and asking grandparents in France to tape the games). Look for websites, materials etc. 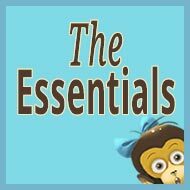 about things that genuinely interest your child – in the minority language! 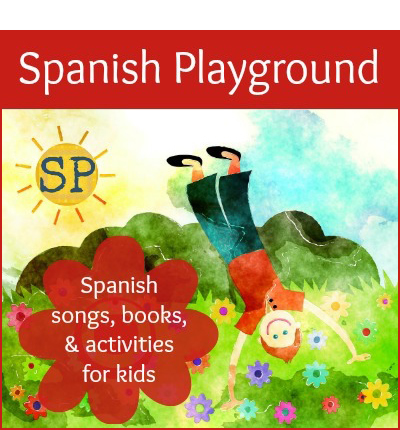 – Introduce your children to the popular culture of the minority language country! What do their peers in that country rave about? Pop stars, movies, sports idols! Get their friends on board, too! 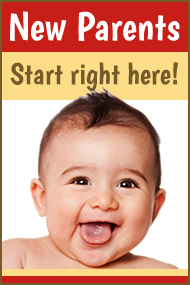 – Look for recently-arrived expat families with children that speak your minority language. Get your teen to know others his/her age who speak the language or find out about babysitting opportunities with the younger expat children. Earning some cash can be a strong motivating factor. – Last, but definitely not least, travel to the minority language country if possible. Visiting relatives, looking for a summer job, camp or similar can all be good ways to make the language more attractive. Social media is also a good way for the young to keep in touch with new friends despite the distance. 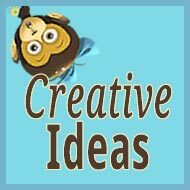 Other parents of older children and teens, please share your ideas, too! I create events, things to do for the teens. You can find 2 posts about the last one I imagined (Filming advertising). Here is my daughter’s point of view (http://blog-bilinguisme.fr/seul/projet-international/) in which you can watch the funniest movie, and that’s mine (http://blog-bilinguisme.fr/moyens-faire-parler/). I did not many things, excepted to bring the idea and to be subordinated to them to film. Cyrille, I admire your use of video. 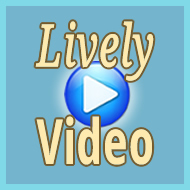 A creative parent could do a lot with a video camera and a little imagination. Thank you for sharing this idea. This is exactly the issue we’re facing at the moment and the reason why I’ve started reading up on bilingual kids again. My son is 12 and my daughter 10. 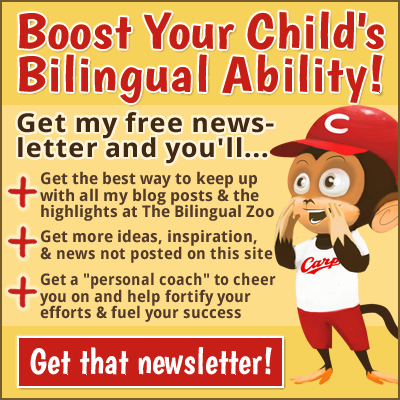 Until the age of about 10 – 11 bilingual upbringing is relatively easy – you can control their time, hobbies, what they read, watch on TV, their whole brain (lol). Unfortunately, we don’t know any other Czech children of their age in the area so it’s all been down to me. That’s fine but it is becoming increasingly difficult to try to think up new ways of developing the kids’ language skills. I think the most important thing to keep their Czech going is to keep communicating with them. I do that by grabbing every moment to talk to them and by making sure that when it’s just the three of us they speak Czech to each other (I do feel like a nag sometimes, though :-)). Also, my son is into computers and all things technical and I often make out like I can’t figure something out and make him explain things to me. Last night we sat on the sofa all evening together trying to get something sorted on my website. It makes him feel clever (although it means he thinks I’m a simpleton – but I don’t care) and it makes me happy because he’s learning to express more difficult concepts in Czech. I still read to them, which might sound odd at their age but they do still enjoy it. The internet, of course, is great and you can see what websites in your minority language there are out there for kids of their age and look at them together. 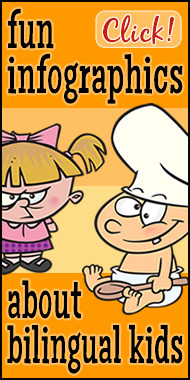 (We play a Czech quiz game called “Dobyvatel”.) Also, we often have Czech radio in the background when we’re playing board games (both great, I think). I think that if you put a lot into them when they were small, their passive knowledge will stay with them no matter what. Just keep talking to them and doing stuff together! I also have a 12-year-old “tween”. She loves music so that has been a great way to facilitate her using her English–she is allowed to watch music videos on YouTube and she will often check the lyrics for her favorite songs as well. There’s nothing like Taylor Swift to motivate her :-)! Although it’s not every day, I also still read aloud to her. The older kids get, the more fun this is for the parent as the books are entertaining even for adults now. My daughter is into horses, so I’ve just recently purchases Black Beauty and My Friend Flicka…two I have actually never read myself. I am just as eager as her to read them! Magazines are another great way for older kids. My relatives in the states send my daughter magazines (American Girl, etc.) and she enjoys reading these for her own age group, but she also reads my magazines, like the ones on cooking, gardening or essential oils I subscribe to. Thank you, Susan! These are great suggestions, and as my own daughter will be a “tween” before I knew it, I’ll definitely be returning to this comment for help! Also if my kids are still under 10, as a teacher last year I organised virtual trip around Italy (Italian is our minority language) for a small group of 11-14 years old kids. It has been a fantastic opportunity for them to explore not only the language, but also the culture every language brings along. The trip was organised as a treasure hunt with tips and various activities (reading, searching, playing, watching movies, and so on) and completely online. It was an engaging way to use the minority language and, because the kids who joined the trip were from different continents, a great way to meet new Italian friends with the same expat experience. This trip was the reason I started my blog and my deep interest in how to keep alive the Italian language living abroad. Thanks for starting this conversation, Adam! What a creative idea, Elena! 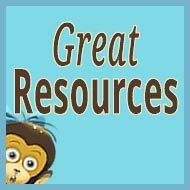 My kids and I love treasure hunts (who doesn’t?!) and, as they get older, I can see creating the kind of “online treasure hunt” that you describe to promote their English ability and their knowledge of American culture (and other types of information). 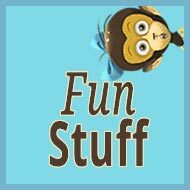 As others have mentioned, the “fun” ideas are often the most effective! I don’t have bilingual teenagers but I used to be one so I can tell what worked for my family back then. My dad always tried to find things to suit my interests. He knows I like sci-fi so even to this day he sends me books (digital now) by Russian sci-fi authors. It is hard for a child to know what to read because they don’t hear their classmates talking about the latest and greatest book, especially if the minority language isn’t English. So having someone provide the book for you and picking a good one is a really big step towards making a child read more. The same can be said for movies and music. Also my father read to me in Russian when he felt I was starting to get disinterested in reading. I was 13 the last time he did it so way past the age most people consider normal for a parent to read out loud to a child. After I left home my dad asked me as a favor to read 1 book a year in Russian. I think the way he phrased it helped a lot. It wasn’t a command, it was a request, because at some point the kids have to assume responsibility for being bilingual on their own. My sister benefited tremendously from an internet forum/message board. She can talk to her peers on a wide range of topics applicable to her life. It improves her reading and greatly improved her writing. It also allowed her to make friends with people who were monolingual in the minority language. It does a lot for motivation when your good friend only understands your minority language. Tatyana, thanks so much for this contribution from the perspective of a bilingual teen. Your thoughts are really insightful, really helpful, and I think your father could serve as a good role model for parents of bilingual kids everywhere. Thanks again—to your father, too! What a great response, Adam! I’m so glad we challenged this difficult topic. One parent I know shared the vlog her teenage daughter makes in her minority language. 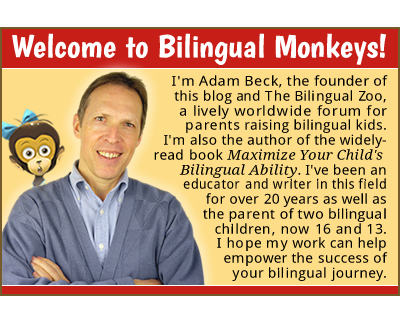 It’s a wonderful, modern way to maintain bilingualism in an older child which is fun at the same time. Young people love anything to do with technology and publishing a vlog or a blog in their second language might help them find bilingual friends all over the world. Because of the vlog I mentioned above a Facebook group has been started where young speakers of Polish as a second language can share their experiences. Don’t forget Skype or Google hangouts can connect them as well! Great topic! My American daughter is 12 and a fluent trilingual in Mandarin, Spanish and English, but we are lucky and have not had this problem…because we live a travel lifestyle, so she maintains friendships in all 3 languages and we often visit countries where the minority languages are dominant (extended visits and slow travel). We are monolingual parents so the travel style is essential for us. She does always have reading and writing assignments daily in all 3 languages and listens to podcasts she enjoys in them, but I think she gets as much from her fun “facetime” talks with friends as anything. We are homeschooling now, but I am hoping to find a volunteer position for her in Mandarin which should also help (we did this in China at a preschool). Her Spanish is like a native, but we are still working on her Mandarin reading and writing. Jeanne, thanks for stopping by! Your family has led an inspiring lifestyle (I enjoyed my visit to your site) and your active efforts have paid off richly with regard to your daughter’s language ability. (Congratulations to her on winning the Chinese speech contest!) The idea of cultivating and maintaining friendships in each language is vital, I agree. Best wishes from Hiroshima! Thank you Adam and your readers for all the interesting ideas above. My older daughter is 11. Her minority language is Spanish. We used to read together until she was 10. Sometimes I read to her aloud, sometimes we took turns to read – one page each. I hope when her brother (who is only 18 months) becomes a little older, she will read to him. She likes the feeling of teaching things to her younger brother! Joselyn, thanks for the useful ideas! I agree that having an older child who can read aloud to the younger sibling in the minority language is very helpful (for both children). I often had Lulu read to Roy before he could read on his own. As for watching programs online, although this hasn’t yet been a big part of our own efforts (because my kids have come to enjoy the English programs on Disney Channel in Japan), I can see that this will be a terrific resource when they’re a bit older. The Internet, and its related technology, is such a rich world of support for parents raising bilingual kids, and will only grow richer as time passes. Frankie, hello from Hiroshima! Six years have passed since this post, and my kids are now (almost) 15 and 12. 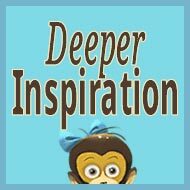 At this point, there are 412 posts at this blog and most of them offer tips in one form or another. But perhaps you could start by browsing through the posts that share my own family’s experiences. 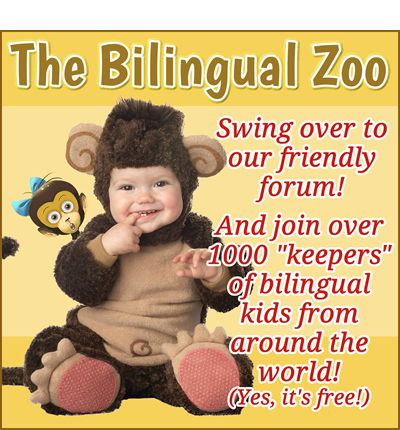 I also recommend visiting my forum, The Bilingual Zoo, which holds a wealth of practical ideas from experienced parents worldwide. All the best to you and your family!